These profiling and carers beds provide the range of functionality needed for use in care homes and hospitals or where a family member needs extra support and pressure relief at home. 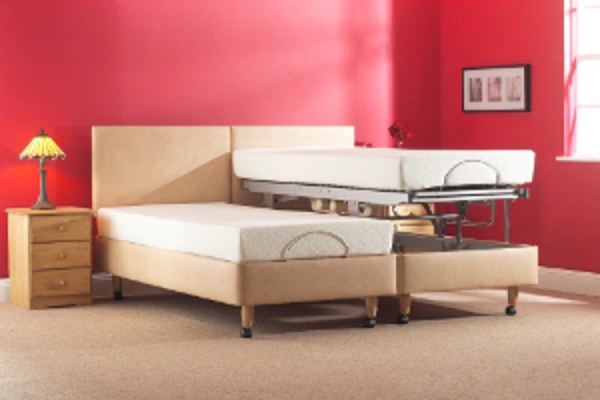 The bed mattress can be profiled to sit the user up, prevent them slipping down the bed and reduce the risk of pressure sores. Most are electrically operated via a bedside handset giving effortless levels of control and safety. 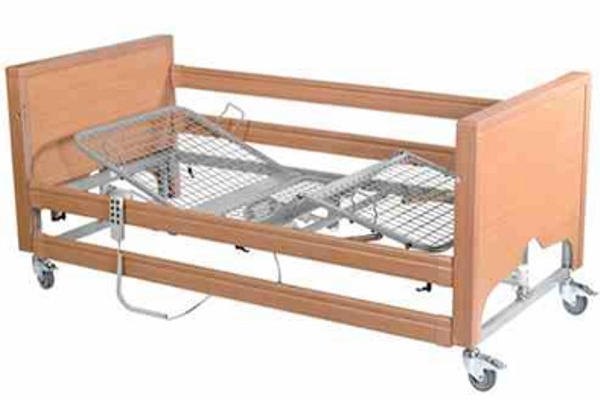 As well as assisting carers in managing a patients needs a suitably selected bed can assist an elderly or disabled person maintain comfort and get in and out of bed independently. This bed is fully adjustable with the function of its fully adjustable backrest and knee break able to work independently of each other as well as operated automatically together. The bed also features a fully electrical "vertical height adjustable" platform to reduce caring needs and to assist getting onto and off the bed. This exceptional product offers flexibility and reliability. The 4 part section metal mechanism gives support to the mattress and flexibility to the patient. This Ultra Low version of our highest end bed, extremly high quality engineering strong, sturdy also has an oak finish. It combines the highest level of functionality, safety and comfort. 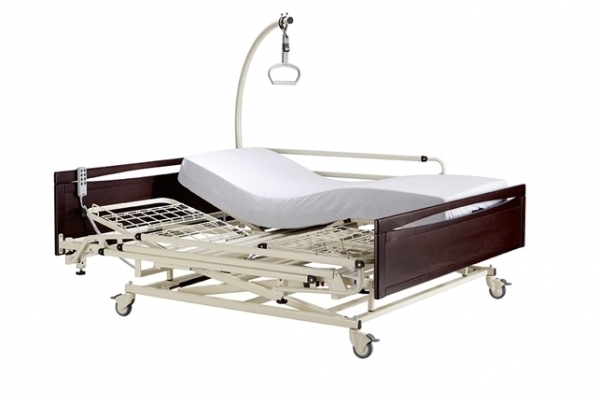 The sturdy and stable Low bed Daytona meets all the requirements for providing comfort and safty. This Ultra Low version of our Casa Med Classic 4 bed also has natural beech finish. It combines the highest level of functionality, safety and comfort. The sturdy and stable Casa Med Classic Low Meets all the requirements for providing comfort and safty. The Dual Care Plus in natural mahogony and with unique wood frame panelling stands out thanks to its friendly and attractive design (different colour ends available). The Warbler Short bed is a beautiful looking community bed ideal for smaller rooms and is the only true community bed with this attribute. You also have the option of it being a low bed and also with optional enclosed bed ends. The Tern Care Plus in natural beech and with unique wood frame panelling stands out thanks to its friendly and attractive design. 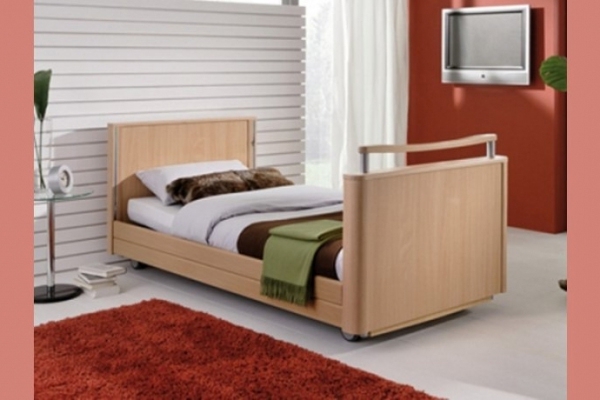 This bed is an ideal Carers bed for someone looking for extra space to turn in. 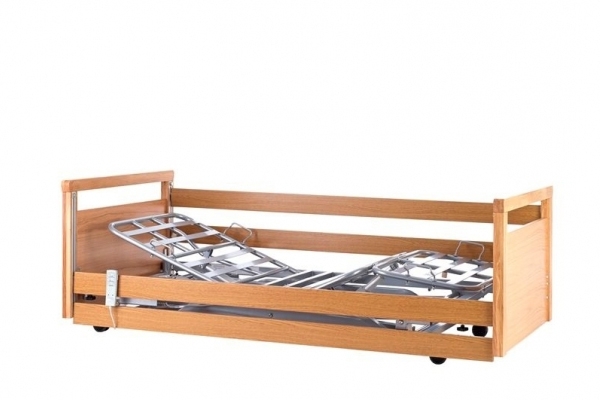 The Carers bed has separate motors to profile the bed at the head-end or the foot-end and again separate motors to vertically raise the bed up to 18 inches from the starting position. The design allows for a person to be turned in bed at a comfortable height. It also assists the person to stand up from a seated position on the edge of the bed, in much the same way as a rise and recline chair works. Only the middle (flat) section can be used for this process whilst the bed is in its profiled position. The Helston Carers bed is an ideal profiling and height adjustable Carers bed for someone looking stay close to their partner. 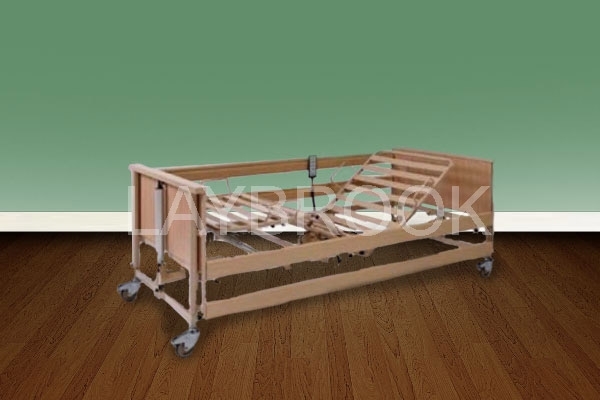 This bed has separate motors to profile the bed at the head-end or the foot-end, and again separate motors to vertically raise the bed up to 18 inches from the starting position (standard height; 23 inches). The Grebe bed is an extremely attractive care home bed will brighten up any room with the modern design and attractive wood finish.